As an experienced kitchen cabinets expert, we understand the importance of quality products and small details when it comes to establishing visual harmony. You need to use matching cabinets and countertops if you want your new kitchen to look fantastic after you remodeled it. That’s why we’ve partnered with several industry-leading countertop manufacturing companies so you can find the best countertop for your project. Granite countertops are a classic choice and they are one of the most eco-friendly, beautiful, and versatile countertops. Each countertop features a granite slab that is often the only one of its kind. As a bathroom cabinets and countertops expert, we also recommend granite because it is highly resistant to scratches and heat damage. However, granite countertops require regular resealing to prevent stains and need to be kept clean to maintain their beauty. Quartz countertops are an excellent and durable alternative to granite countertops. 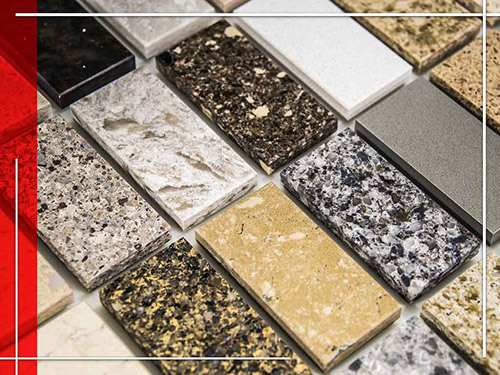 Like granite, they come in a wide range of patterns, textures, colors, and finishes to suit your preferences. Quartz countertops are also strong and scratch- and chip-resistant, allowing them to handle daily wear and tear. In addition, quartz is a non-porous material; it doesn’t require sealing and it has excellent resistance to staining and bacteria. Our countertops are durable, long-lasting, and exquisite. Harbour View Kitchen and Bath offers countertops from Silestone Countertops, Cambria Countertops, Viatera Countertops, and more. Call us at (757) 630-0406 to learn more about our services and products. We serve many areas in Virginia, including Suffolk, VA.